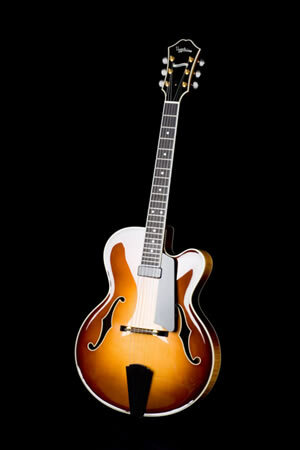 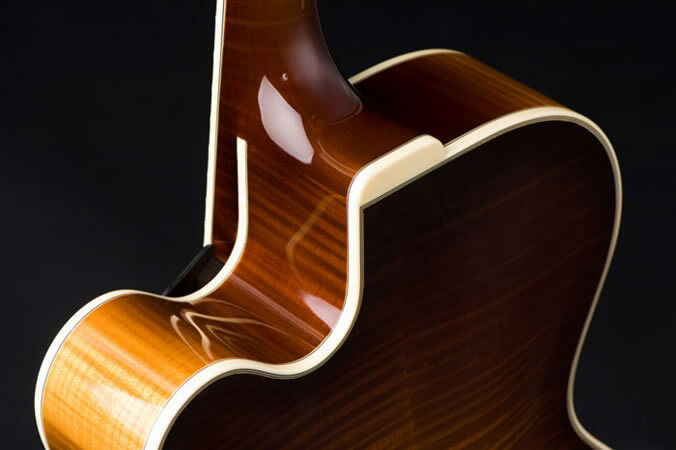 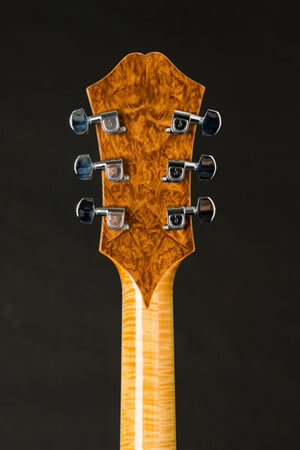 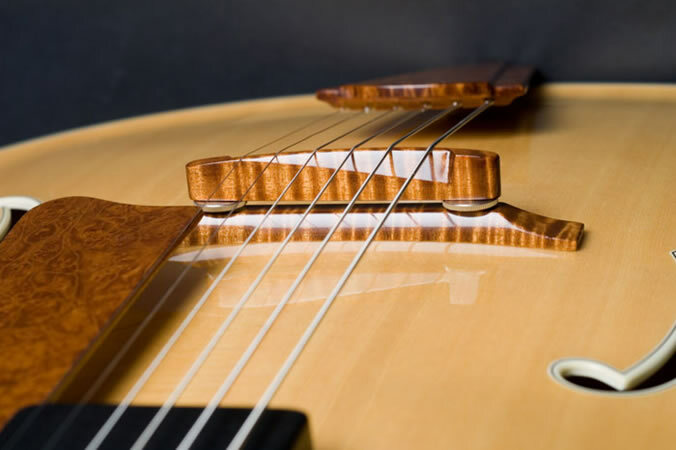 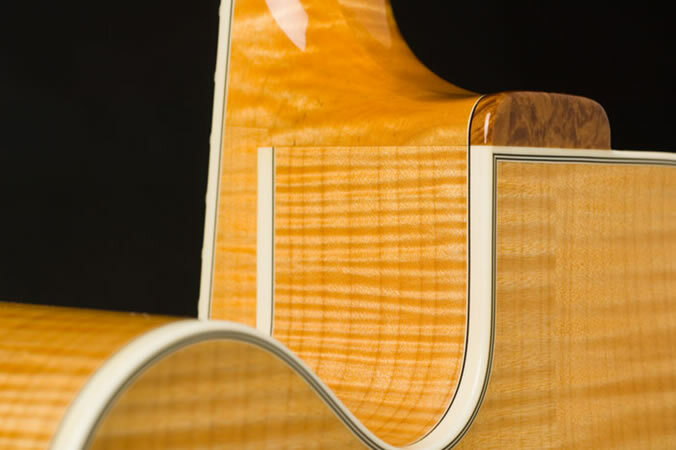 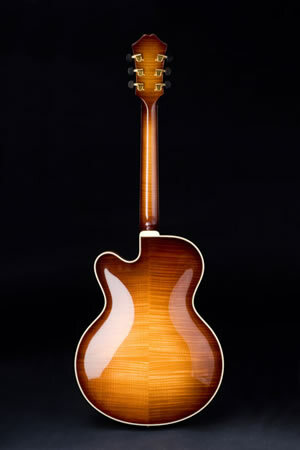 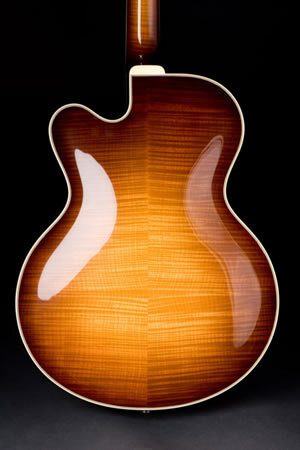 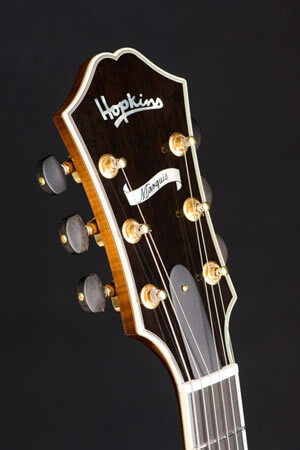 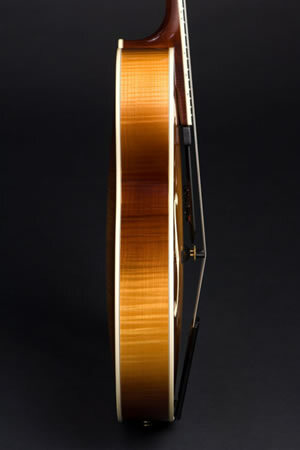 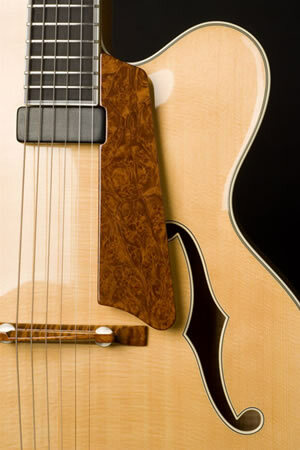 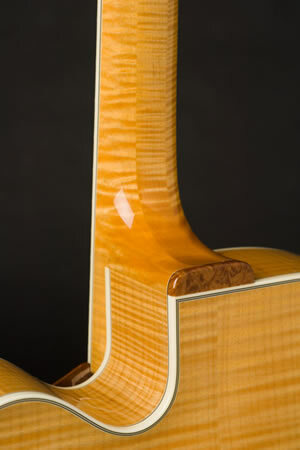 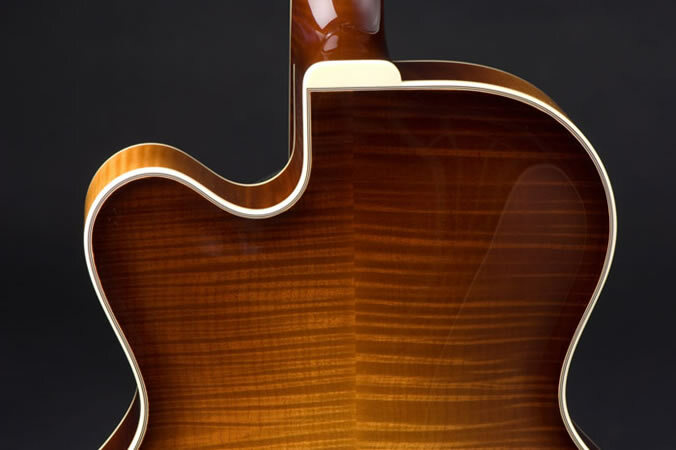 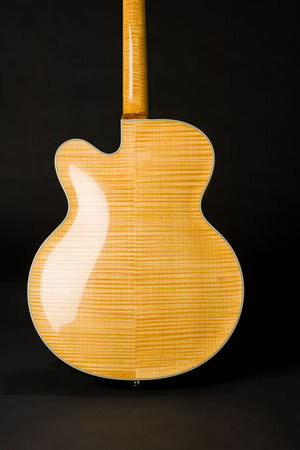 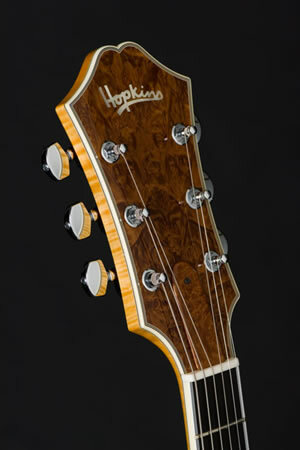 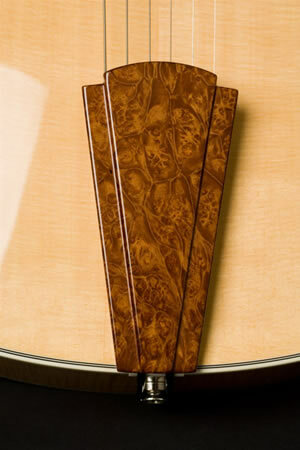 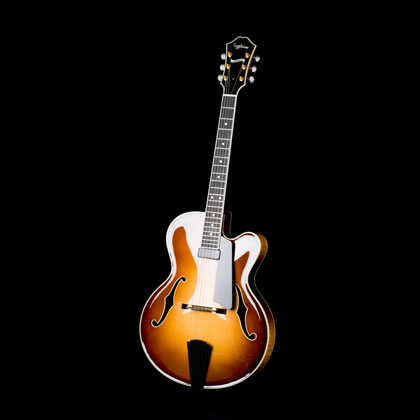 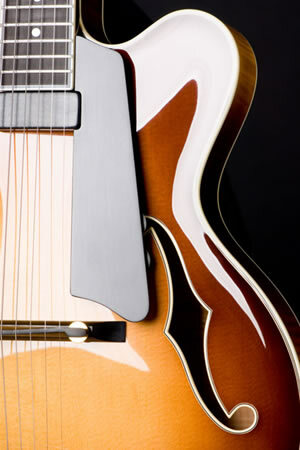 The Marquis is the distilled essence of the classic archtop guitar. 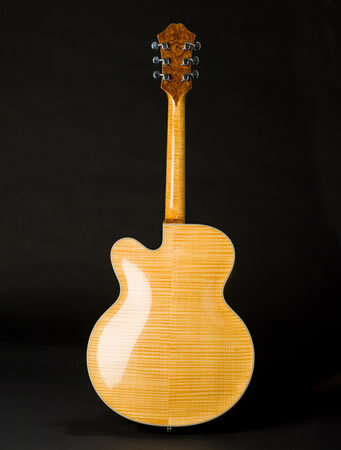 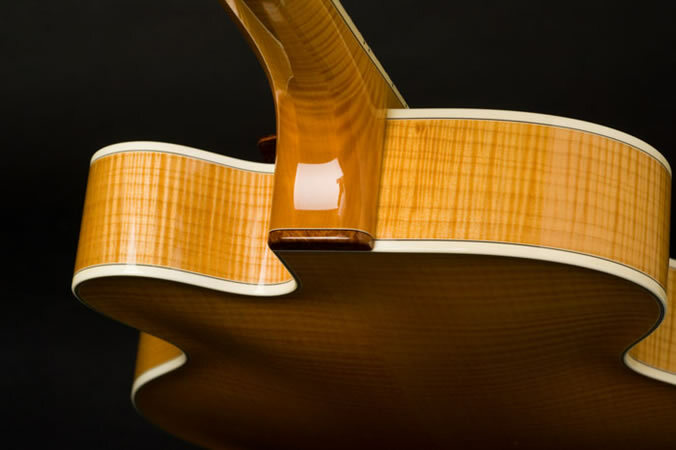 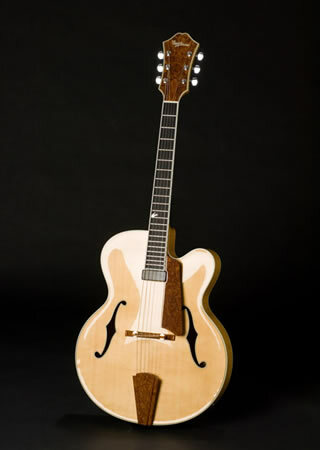 Unadorned and understated, it’s elegant simplicity, sensuous edges and purity of form allow the senses to appreciate the downright sexiness of a hand carved archtop guitar. 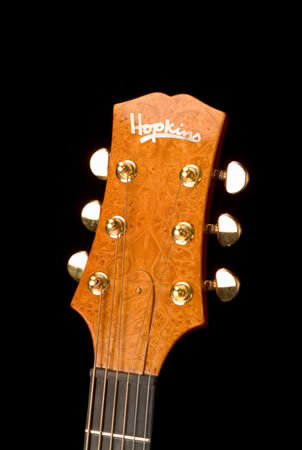 It’s visual purity is echoed by the purity of tone. 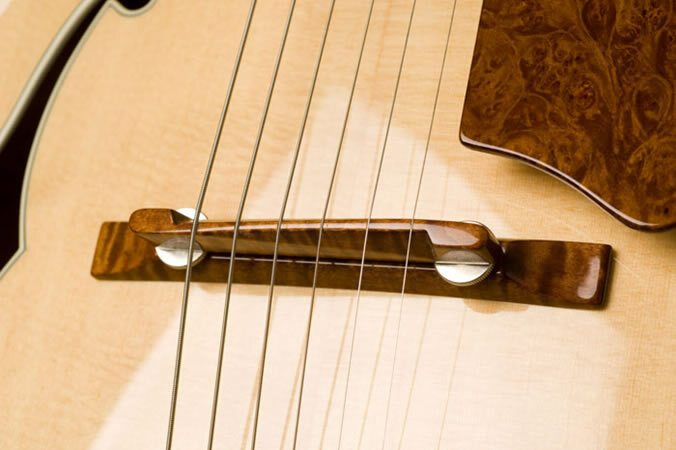 Clean, rich tonality springs forth in both acoustic and electrified configurations. 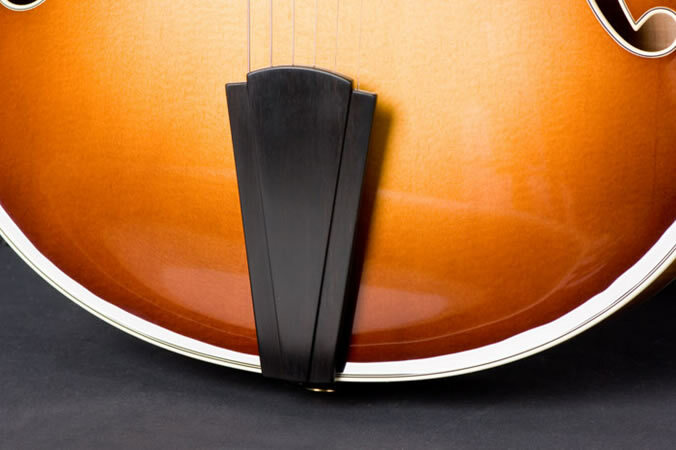 Click here to see features and options.